South America is a region that enjoys an unusually high profile as the origin of some of the world’s greatest writers and most celebrated footballers. 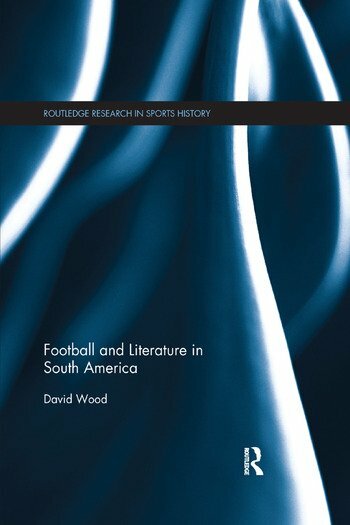 This is the first book to undertake a systematic study of the relationship between football and literature across South America. Beginning with the first football poem published in 1899, it surveys a range of texts that address key issues in the region’s social and political history. Drawing on a substantial corpus of short stories, novels and poems, each chapter considers the shifting relationship between football and literature in South America across more than a century of writing. The way in which authors combine football and literature to challenge the dominant narratives of their time suggests that this sport can be seen as a recurring theme through which matters of identity, nationhood, race, gender, violence, politics and aesthetics are played out. This book is fascinating reading for any student, scholar or serious fan of football, as well as for all those interested in the relationship between sports history, literature and society.